In July 2017, Milwaukee’s Common Council approved proposals for a design overlay to extend the Milwaukee Riverwalk along the Menomonee River in the Valley, a major recommendation and catalytic project outlined in the Valley 2.0 Plan. The Menomonee Valley Riverwalk Overlay reserves 25 feet along the Menomonee River for a future Valley Riverwalk as redevelopment occurs. 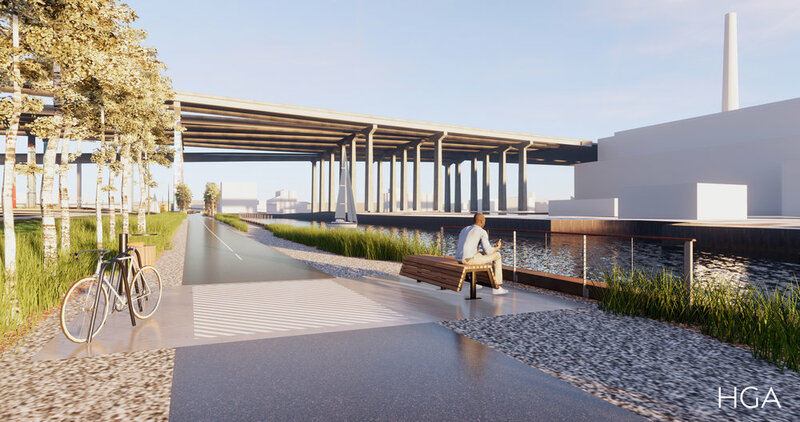 The riverwalk would begin at the existing segment in the Third Ward where the Milwaukee and Menomonee rivers meet and extend about two miles west to Three Bridges Park. The riverwalk will allow public access to the river and help to attract more food-and-beverage businesses with back-end manufacturing and front-end retail/tourism, similar to Palermo’s Pizza and craft breweries, City Lights Brewing Co. and Third Space Brewing Company. Overlay districts provide an opportunity for redevelopment projects to be compatible and integrated with their neighbors, more pedestrian friendly in design and scale, and more completely integrated in overall urban design. The City of Milwaukee has placed a great emphasis on achieving the full potential and value to visitors and businesses of the Menomonee River Valley, with the Hank Aaron State Trail and Menomonee River as focal points. 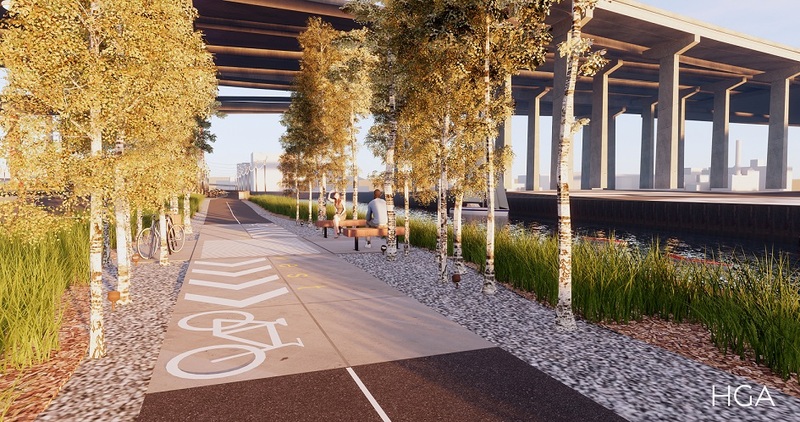 A continuous system of Riverwalks on both sides of the Menomonee River, connecting with and overlapping the Hank Aaron State Trail will be a great asset and amenity for all. The Menomonee Riverwalk Design Standards are a valuable tool for property owners and outline the overall design concept with accompanying features including native plantings, stormwater treatment, materials, and lighting. The City and Menomonee Valley Partners worked with HGA Architects and The Sigma Group to create design standards that feature an homage to the Menomonee River Valley's natural conditions when indigenous people lived here. The Standards call for native grasses and wildflowers planted along the banks — recalling the wetlands of grass, reeds and wild rice that once marked the Valley. Native grasses planted on both sides of the Riverwalk will give walkers and bikers the sense of moving through a marsh grassland landscape. Plantings also will help soak up stormwater runoff — something that's needed as vacant parcels are developed. Because of the Valley’s size, the riverwalk will be 12 to 15 feet wide to accommodate both pedestrians and cyclists. The Menomonee Riverwalk Designs standards were approved by Milwaukee’s Common Council in February 2019. 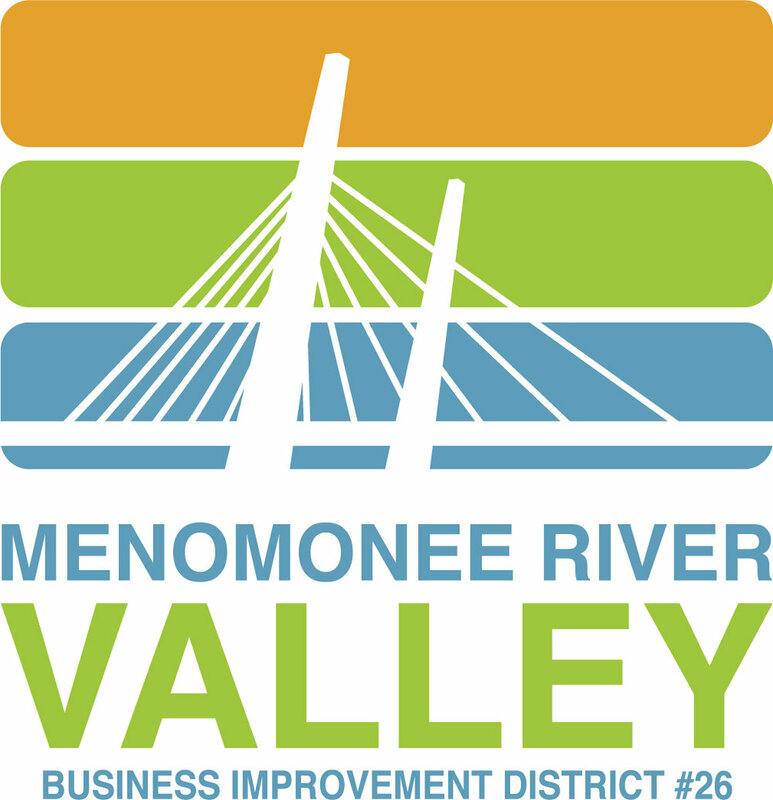 Click the image above to review the design standards for the Menomonee Valley Riverwalk. The standards were developed by HGA and The Sigma Group. Thank you to the City of Milwaukee, the Fund for Lake Michigan, the Herzfeld Foundation, and the Menomonee Valley Business Improvement District for funding this valuable planning effort.